Lorne Michaels needs to see this audition tape, because it is comedy GOLD. 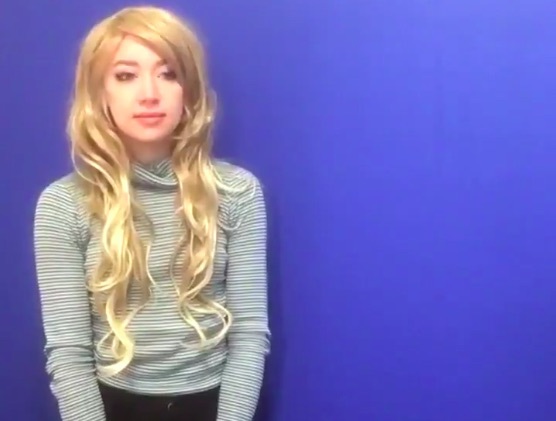 Brooklyn-based comedian Mary Houlihan created a Saturday Night Live audition reel video spoof, and it’s the funniest thing you’ll see all day. She posted the video to her Twitter account on Friday, January 5th, and we haven’t stopped laughing since. Houlihan’s cast of Saturday Night Live characters includes “Saxophonist in the House Band Who Likes the Monologue,” “Castmember on Stage During Credits,” “Audience Member Sitting Next to Audience Plant,” and “Person in Background of Sketch Who’s Like ‘This Guy’s Weird. '” Finally, the true heroes of SNL are represented. And we can’t forget her strong turn as “Host,” offering a lukewarm welcome to Imagine Dragons not once, but twice. Check out Mary Houlihan’s joke Saturday Night Live audition below. We bet you can’t watch it without LOLing. So good, right? If you liked that, you’ll love her other characters, Jewelry Casablancas, Pumpkin Flaxseed, and Playden Axelrod. We’ve been sucked into a Twitter black hole of Houlihan’s videos, and we don’t want it to end. Mary, we want more comedy!